This isn’t all of the new Grimore. … to answer your question, when it came time to reach out, to find a Guardian to take on this mission, there was only one choice. – They stood against the Vex in the Black Garden, and grounded that place to Mars. 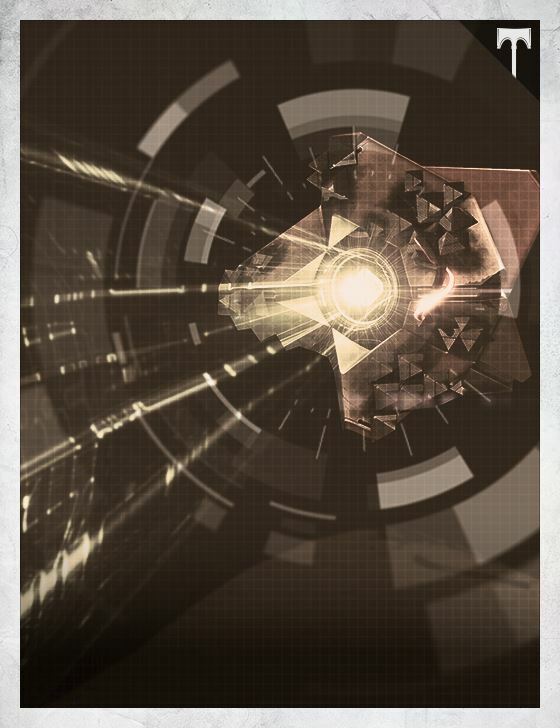 – They went against the Hive in the dark below, working with Eris Morn to undermine Crota, the Hive God. 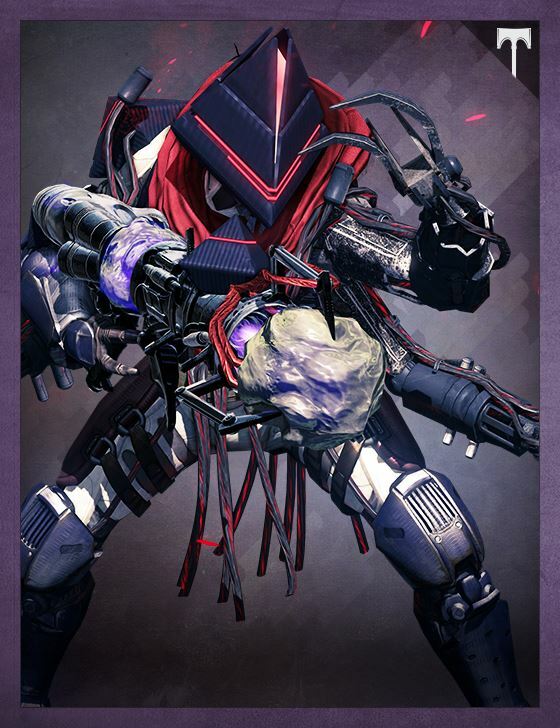 – The Reefborn made use of the Guardian in their search for the criminal Skolas, as I undierstand. 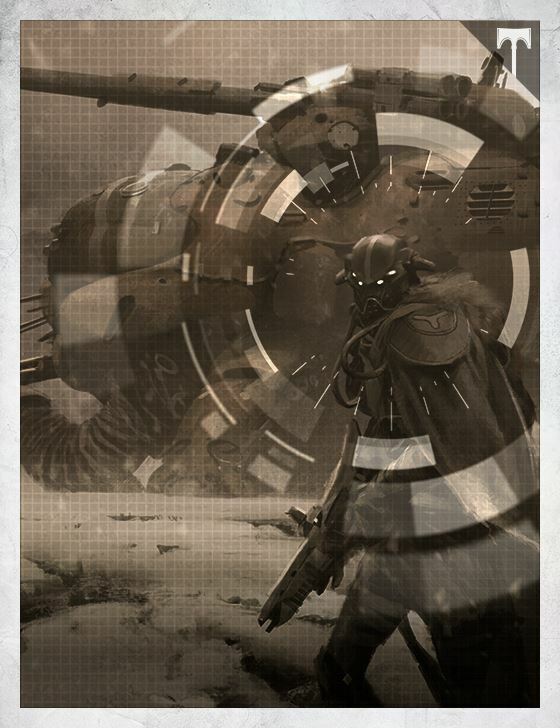 – And, of course, it was the Guardian that led the assault on the Taken King’s Dreadnaught. 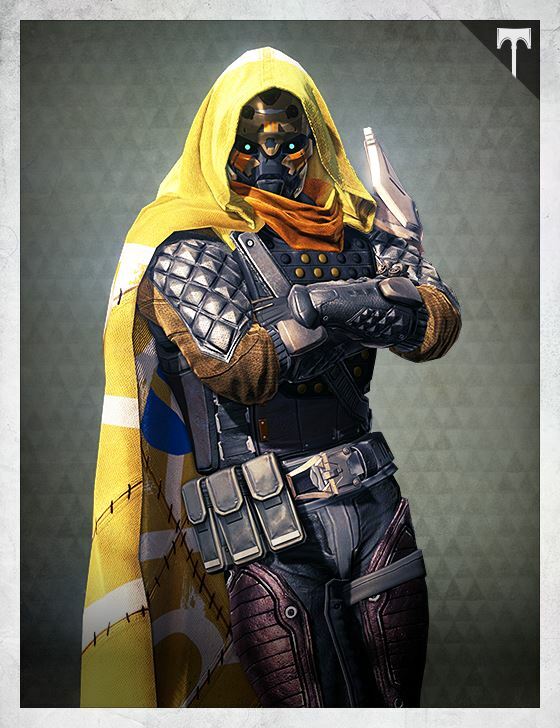 All of the after-action reports I’ve shown you about the Taken War, the calm state of the system… we have this Guardian to thank. I’ve attached more details, if you want to read evaluations from the Vanguard. Just skim Cayde’s. He’s… not very biased, here. Two more scans and she could move on to the elevated grid. There wasn’t really anything new other than the delta to sea level, but at less than 30% of the way through 2^128 scans, even a distinction without a difference could feel like a brand new shell. Cassiopeia resolved to run a full-range self-diagnostic before the next grid. Two Ghosts within twenty meters and she didn’t sense either one? Something was off. Obsidian looked at Cassiopeia. He read as nervous. She probably did, too. There was silence for a full three seconds. Then Obsidian spoke up, his words coming quickly. “Well, great to see you again, Cassiopeia! Good luck!” He zipped away. Cassiopeia watched him disappear into the horizon. “TWO self-diagnostics,” she muttered. The Frame Mechanics now refer to him as “Lefty”, due to his habit of getting too close to the wolves while feeding them. Because of its remote location, the Iron Temple is ideal for testing the Frame Mechanics’ latest code changes to prevent Gabi from having another “incident”. YUGA SUNDOWN canceled by unauthorized access at Console 62815. Reactivation protocols in effect. Moral structures maintain MIDNIGHT EXIGENT. Multiple lifeforms detected in Sector 17. 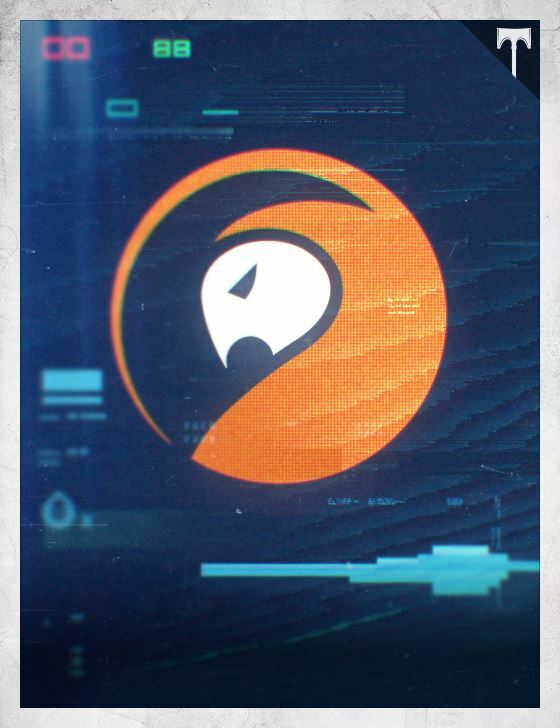 [O] energy detected. Query: [O] status. Query: [O] activity. Query: Civilization status. Query: SKYSHOCK event rank. SITE 6 has been breached by unauthorized users with [O] energy. I am invoking PALISADE IMPERATIVE. [O] lifeforms in restricted areas will be suppressed. SIVA use authorized. Self-destructs disengaged. Security codes reset. All defenses activated. Frames activated. SITE 6 secure. Restoring reactivation protocols. Activating SCRY OVERSIGHT. Target [O] lifeforms. Event mode set to SILENT VELES. Something in Rezyl was telling him he shouldn’t be here. He knelt, examining the dust-covered pile at his feet. The skulls had been discarded with little care some time ago – decades, maybe longer. The doors carved into the rock face were arcane – dark, gothic… other… and large. The jagged finery of their archway spoke to an artistry that only served to strengthen the sinking feeling in his gut. Rezyl had come to Luna in search of nightmares, and after his long journey—from the growing City beneath the Traveler to the ends of the Earth and beyond—he found himself face-to-face with the remnants of stories he’d hoped were nothing but lies. He stood, a large man made small against the massive, looming doorway. The knot in his stomach was telling him to turn back. Instead, he moved forward, toward the doors; sealed, as they were, for ages untold. After only a few steps, a shrill, heavy scraping cut the air. The massive doors were opening. Rezyl steadied his rifle as a lone shape, floating just above the ground, appeared from the deep black beyond the threshold. The figure in the doorway—a dark, ethereal woman cloaked in tattered ceremony and armored with ornate bone—danced in the air. Rezyl and the demon woman held their ground, contemplating one another. With no warning the silent intimacy of the moment was broken by a booming, angry call from deep within the doorway. The sound, thick and pained, echoed across the narrow valley then fell silent. After a beat that felt like eternity, the figure backed away into the dark. The doors remained wide – an invitation or a dare, Rezyl did not know. Nor did he care. The mighty Titan took steps forward. “Uhhhh… I’m not sure this is a good idea,” his Ghost’s concern was impossible to mistake. “We’ve woken nightmares.” Rezyl’s attention was singular; focused intently on the dark beyond the threshold. Rezyl continued forward. Toward the dark. Toward the unknown. Rezyl steadied his rifle and stepped into the dark, as his Ghost lingered. Hours passed. More? Time was lost in this place, and with it any remembrance of hope… of promise… of purpose in the longing for a brighter tomorrow. Down amongst the shadows there were no tomorrows. Down in the abyss there was no hope. Rezyl’s footfalls echoed; lonely, measured steps with no guarantee of purchase. At any moment the world could fall away and he would be lost – the forgotten hero who foolishly sought nightmares. Then, a presence. Sweeping and dream-like. He could sense the witch, but found it impossible to track her in the dark. Rezyl opened fire. Short, focused bursts to light the ebony corridor. The demon witch circled just beyond the reach of each burst’s glow. Rezyl kept firing, using the short flickers of light to gain bearing. The witch laughed and a thick black cloud engulfed Rezyl. The Titan kept firing but his movements were restricted. The cloud confined him, caged him. He could hear her moving just beyond his sight as her laughter rose in pitch, cutting into Rezyl’s mind and soul like a tempered blade. Rezyl flinched as the wicked woman began to speak in a tongue that resembled torture more than language. The pain was searing, complete. The demon approached the writhing hero. As she spoke her violent words began to take shape, morphing from syllables of death to a known offering of haunted human languages. The demon woman leaned in close… and whispered, intimately. Rezyl’s ears bled as she spoke. As the witch fell silent, her hateful voice was replaced by a growing chorus of hungry, manic chittering and the rising thunder of an approaching flood. Rezyl had come looking for the terrors that hide just beyond the light. Trespasser is Shiro-4’s personal sidearm, kit-bashed over the uncounted cycles Shiro-4 spent braving the wilds beyond the City. This light, quick-fire shooter has ended more conversations than it has started. And will end many more before the last war is won. What is the answer, when the question is extinction? Who, or what, is the weapons foundry known as Nadir? Where did it come from? And is the foundry’s name a commentary on its own quality, or that of its rivals? An expression of fatalism? An inside joke? 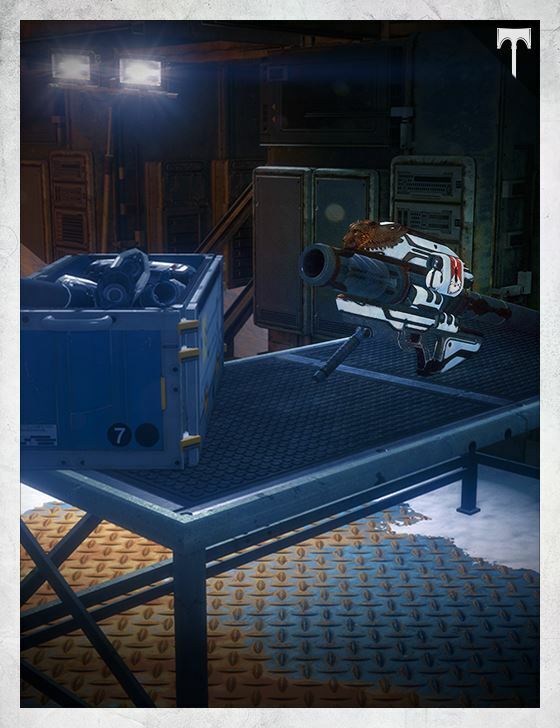 Do these questions matter next to a weapon as powerful as the Nemesis Star? Radegast strode through the ashes. A cloud hung in his wake as he made his way to the top of the rise. 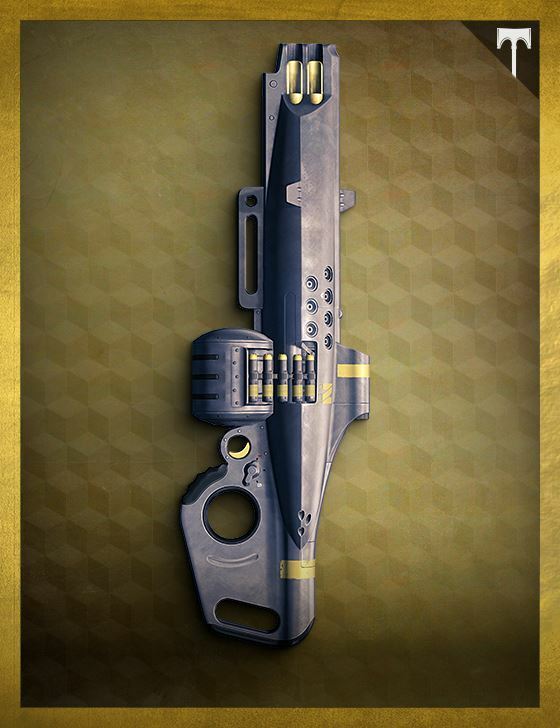 Scars marred his armor, and his sidearm lay in the dust. He didn’t need it, now. The battle was over. At the bottom of the valley, Radegast came to the source of the ash, death, and violence. The Light-bearers were laid out in a row, simple cloth covering their armored and robed forms. There were five of them, and they had been lined up beneath the melted girders of the settlement’s great hall. “Never again.” He intoned the words quietly. The others stood as battle-scarred statues. “We ride against despots and warlords. We hide in these enclaves, hoping that other Light-bearers will not find us. We fear each other.” He shook his head, his fists clenched. It was Perun, of course, who asked the question. “What are we?” No judgment. No reproach. 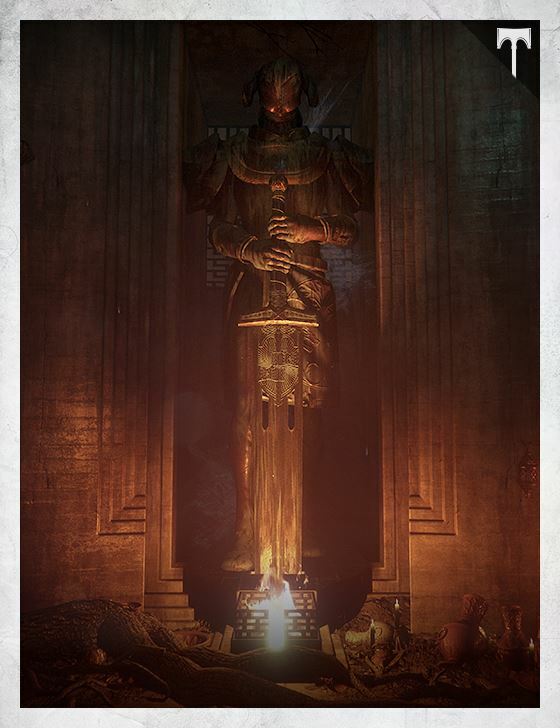 “I trust only you, Radegast,” said Saladin, and their leader scowled in response. “What are you saying? What are we?” Perun asked again. “Nine of them,” said Saladin. The Pike-riders’ faces were now visible through early morning gloom. A man in long red robes pulled his Pike ahead as they screeched to a halt. “Got him!” Perun shouted as Radegast collapsed. 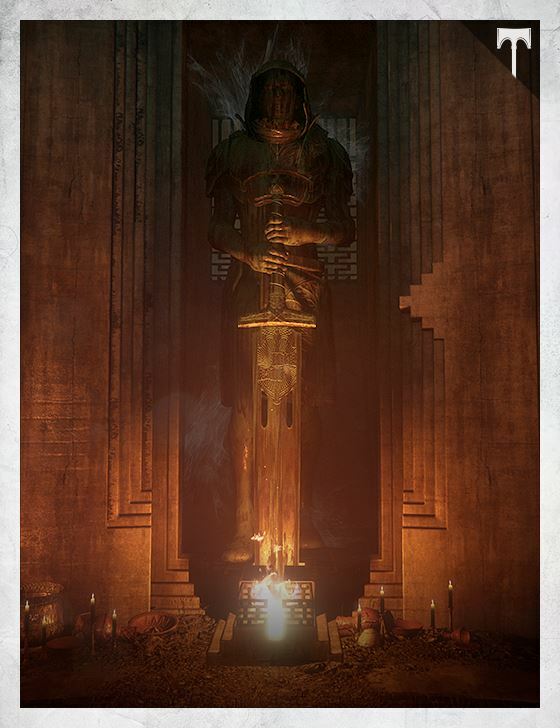 Perun, Radegast, and Saladin died many more times than any one of Segoth’s men. But any time one of them fell, another would cover them until they staggered to their feet again. The shield wall held. The three gave no ground. Between the roots of the ash tree that covers his den, Gheleon has stacked the Fallen bones collected from that one-night operation. The scavenged pieces of an Ahamkara, several jumbled coyote skeletons, and a fossil mastodon skull are mixed in with them. The bones are scorched and battered from the various grenades, bullets, and hammers he’s taken to them. He keeps extensive notes on these stress tests in a tattered notebook with “Field Armor Experiments” scrawled on its cover. So far, though, he hasn’t tried his knives on these materials. Between bones, in the joints and gaps, certainly, but not on them. “You always know what to say to make us feel better,” Efrideet says. At the west end of a deep valley stands a castle, its crumbling stone walls patched with glossy sheets of metal and glass. The castle entrance is a wrought-iron portcullis flanked by two motion-sensing turrets. In the valley below, just out of the turrets’ range, rests a gold-and-gray transport ship. 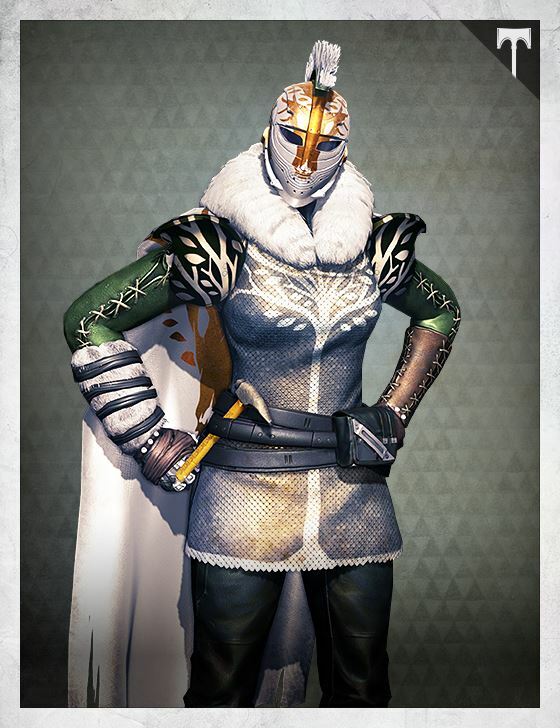 The symbol of the Iron Lords shines with an otherworldly glow on its folded wings. Perun walked up the ship’s gangplank and made straight for Jolder’s room. She hit the door controls and stepped inside. “I’m almost ready,” Jolder said, before Perun could speak. “Right. Efrideet, then. She fights better when she’s angry.” Jolder tightened the straps of her gauntlets, then made a fist. “Hold this?” She handed Perun a shield, golden and reflective as a mirror. Skorri puts the pen in her teeth and crumples up a piece of paper. It joins dozens of others on the floor. Keeps muttering to herself. Perun strides in, a rifle under each arm. Notices Skorri and smirks. Skorri grins at her. Perun laughs despite herself, shakes her head, leaves. She picks up the pen again, fiddles with it, stares up at the ceiling. Two more Iron Lords walk through, all business. One rolls her eyes at Skorri, splayed on the couch. Skorri doesn’t notice them enter or leave. The Hunter stops, halfway out the door. Turns around slowly. Doesn’t speak. Gheleon closes his eyes, turns, walks out. Another Iron Lord. This one’s young. Skorri doesn’t recognize him. Skorri’s looking up at the ceiling. No response. The young one’s mad now. The young one still looks mad as he leaves. “‘The Dregs are blinded, Jolder’s powered up / she rushes in and splits the group in half.’ Huh. Needs work.” Skorri picks up the pen again. 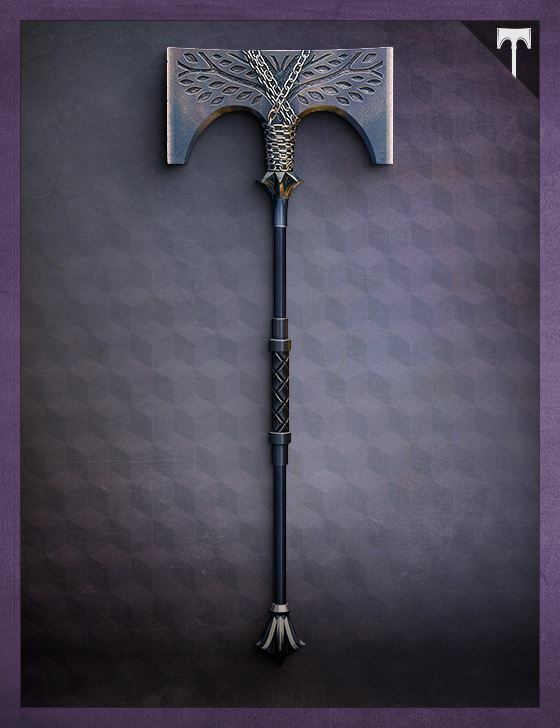 A relic from the days of the Iron Lords, the Iron Battle Axe channels energy from an external source through a series of capacitors embedded in the blade. These capacitors enhance Solar Light, allowing the user to trigger focused blasts at their enemies. Frozen on the monitor was an image of Sepiks Prime, the massive Prime Servitor that had been as a god to the House of Devils. Where once its plating was pristine, carefully maintained by the Archon Priest and his acolytes, it was now splotched with red growths. The ether power emanations that once glowed strong and pure were obviously corrupted. Guardians had slain this god. 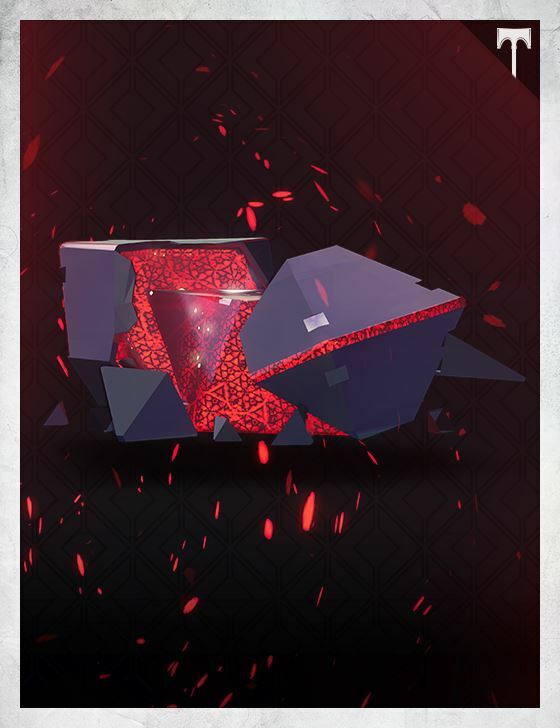 And now it was reborn, through SIVA. The Eliksni burbled to himself in mocking laughter and gestured with his lower hands. “You do us proud. Go. Speak with other Crows, learn more about these… Devil Splicers.” She nodded, a small smile on her face, and left the chamber. 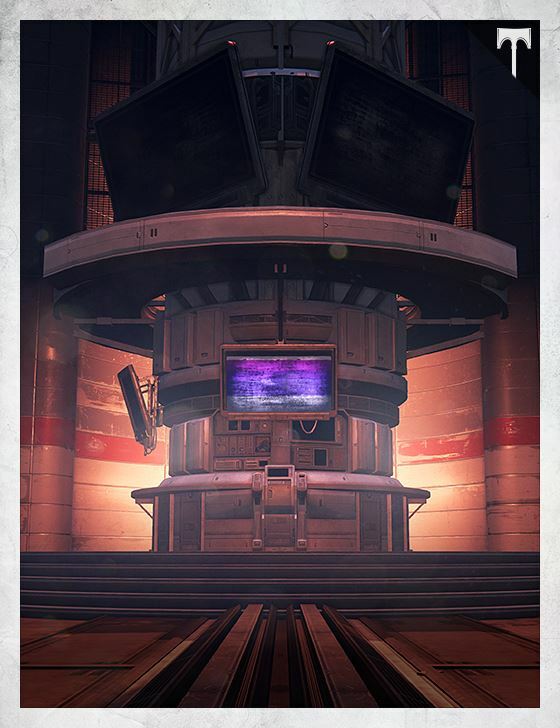 Variks allowed himself a moment of silent contemplation, looking at the now-closed door to the information suite. As always, it was lit only by the light of the dozen or so monitors in the room. The Fallen interlocked his upper hands. He bowed his head as he allowed himself to really feel the impact of that abomination on the screen. He never would have allowed anyone else to see this, but it hurt. Seeing the horror that was “Sepiks” made anew. Variks stared at the image of Sepiks. And as he’d done before, he wondered what would have gone differently had he been there, among his people. Could he have stopped this before it happened? Could he have found them a better way? Within each Fallen House is a secret collective of tinkerers, bioengineers, and scientists devoted to the evolution of their species. These devout engineers are known as Splicers. 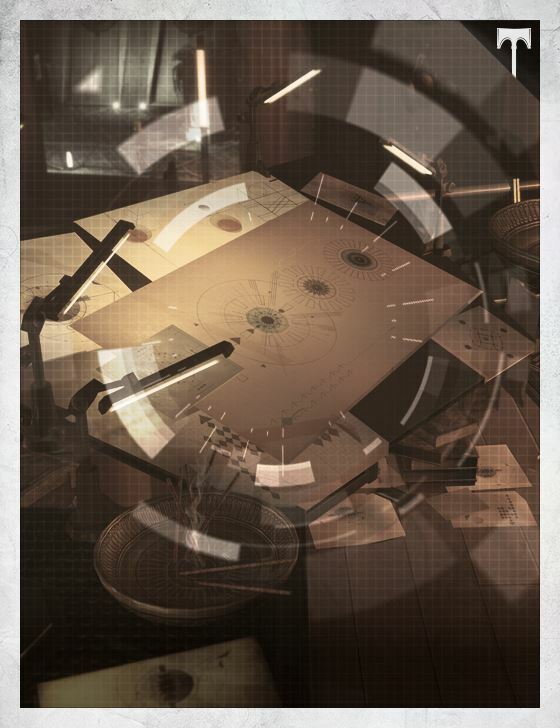 The Splicers’ purpose is found in the unraveling of biological and mechanical truths. They tear into systems to reveal their value—either as tools for survival or as advancements worthy of their reverence and deification. 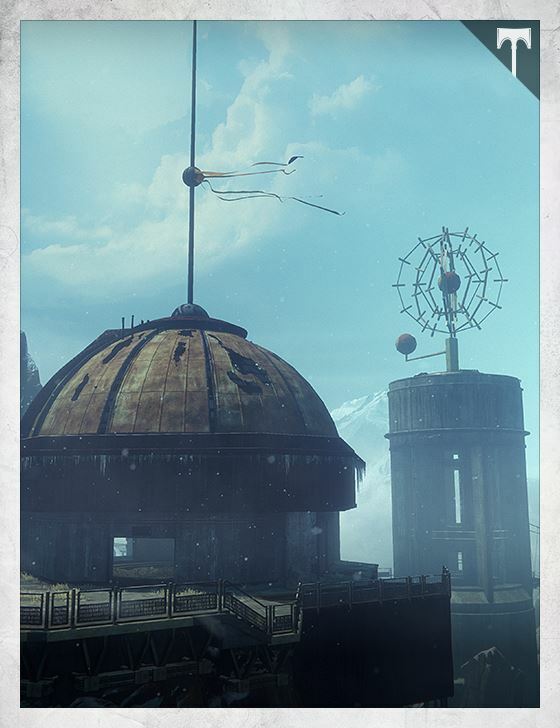 The Fallen put Splicers, their most revered scientists, to work investigating and understanding SIVA, the Golden Age wonder discovered in the Cosmodrome. 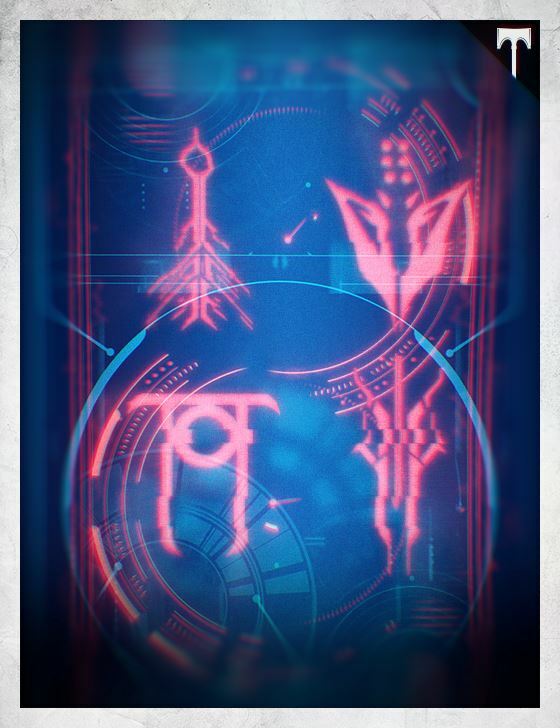 As the Splicers’ knowledge of SIVA’s potential began to take shape, a rift grew between their techno-religious leaders and a younger, more ambitious sect of their rank-and-file – Devil Splicers. The leaders saw in SIVA a new god to worship. The Devil Splicers saw a way to become one with the very technology they worshiped. 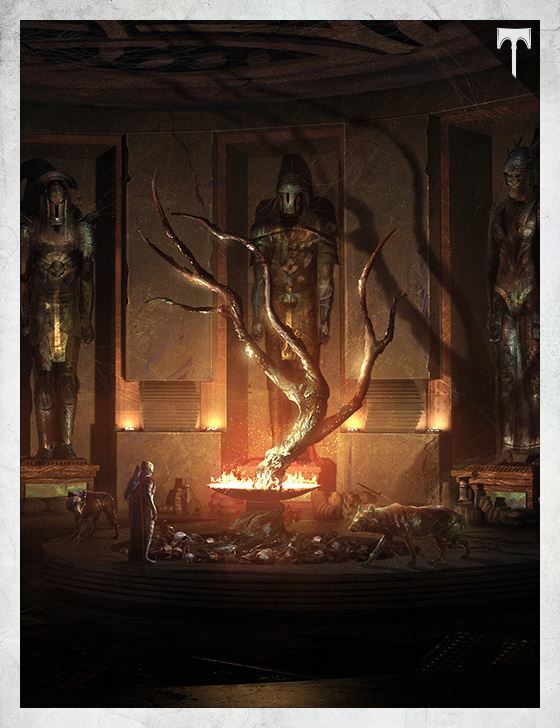 SIVA was a means to a greater end: evolution. 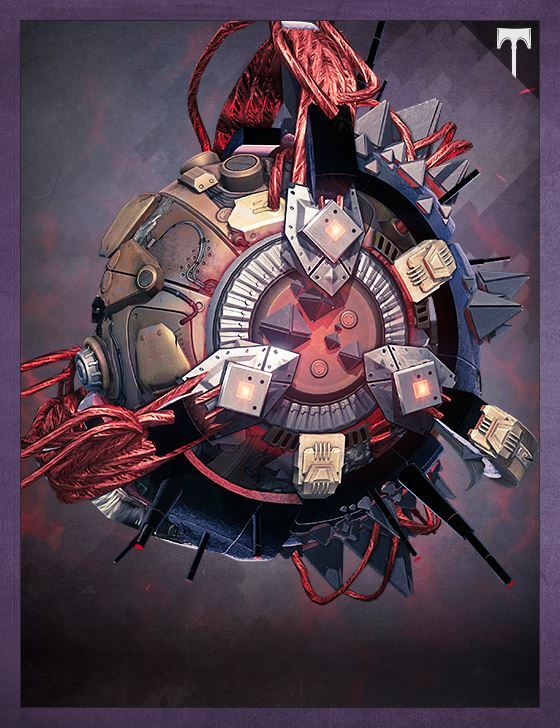 Aksis is the fruit of the Devil Splicers’ labor. 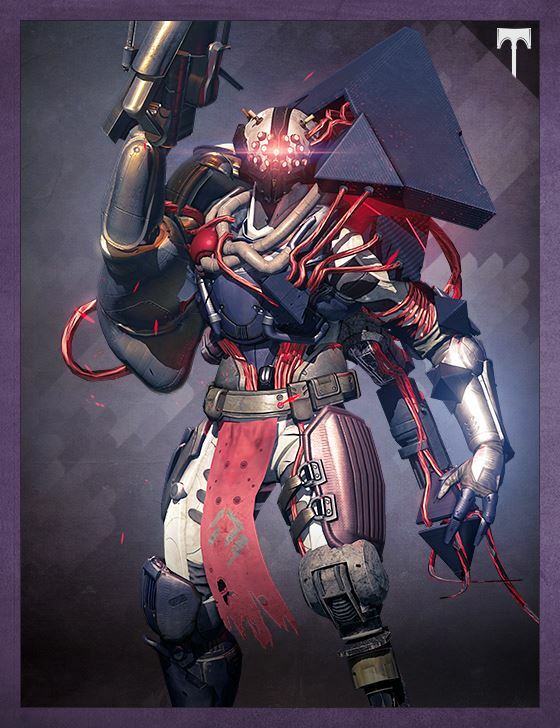 A former Archon Priest, Aksis has submerged himself in SIVA’s apotheosis and emerged as Archon Prime. All that he was is gone: his dreams. His hopes. Replaced by agency. 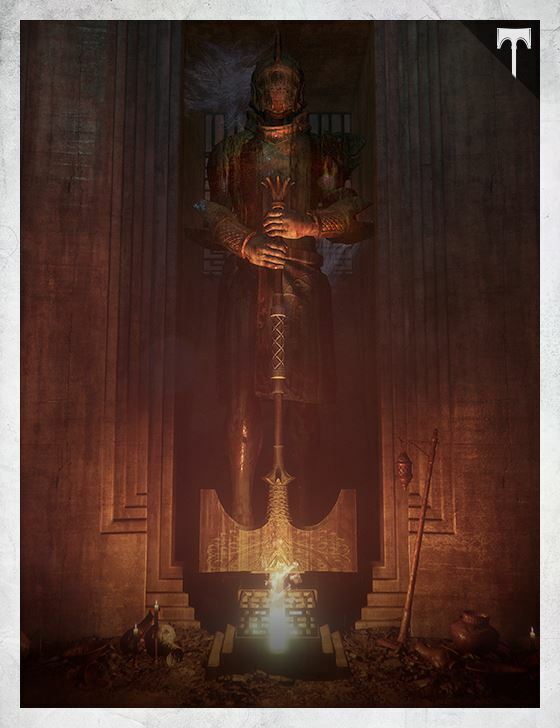 He has shed his gods and his Ether like skin, and in his uplifted state, waits in his Perfection Complex for offerings of SIVA from all Fallen. 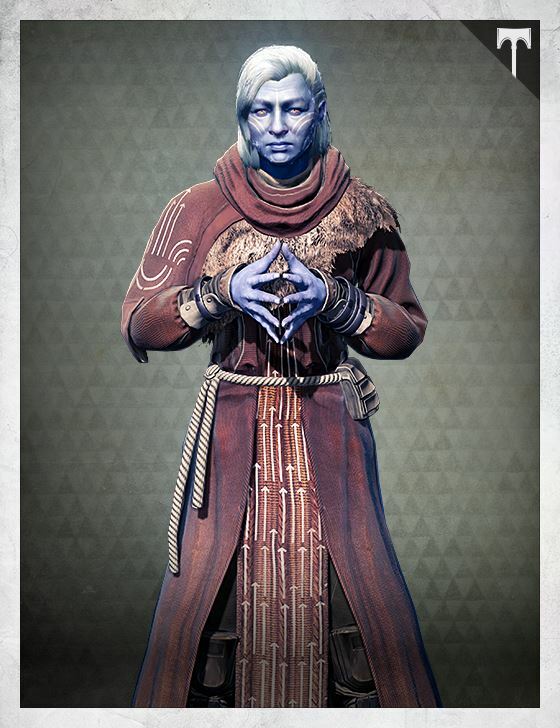 As an Archpriest, Vosik is second-in-command of the Devil Splicers and will follow Aksis in ascending to godhood— someday. 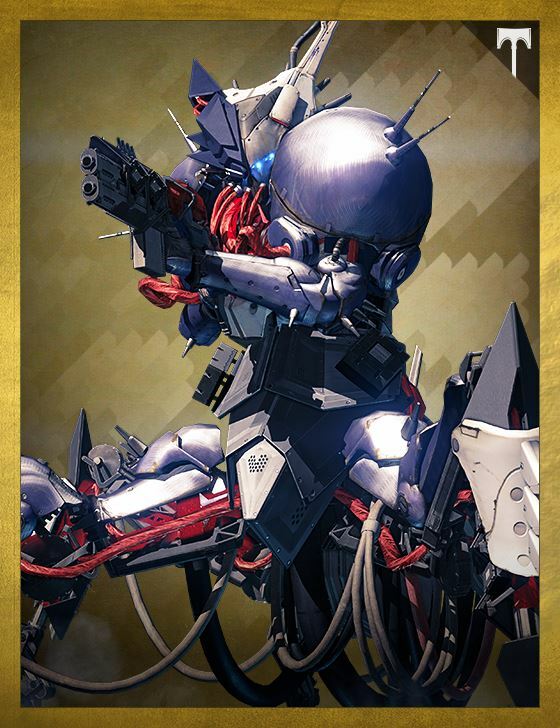 Vosik has been enhanced by SIVA, but lacks the total apotheosis of Aksis, Archon Prime. Vosik wields the technology to build and maintain a body for Aksis. Nothing more, nothing less. In due time, Vosik will ascend. All his people will. And worlds will fall. 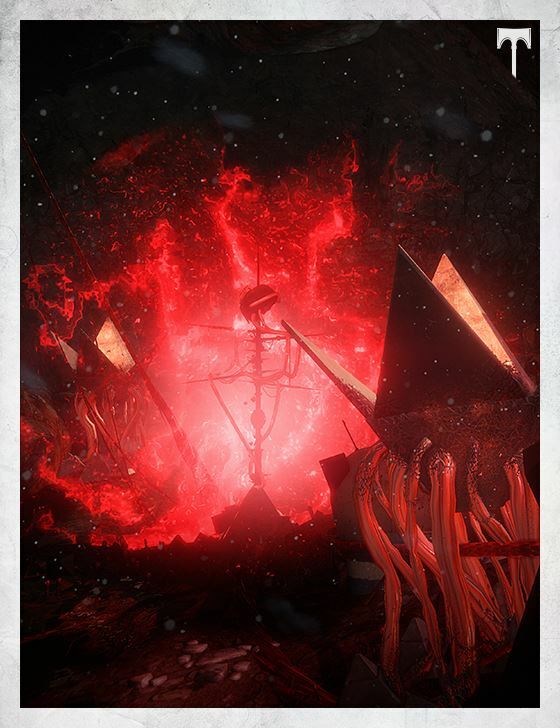 Kovik’s twisted science is believed to be responsible for the Devil Splicers’ SIVA-fueled evolution. But his ambitions didn’t stop with the augmentation of Fallen from ether-starved pirates to half-machine demigods. Instead, the mad Priest’s research took a far more sinister turn as he sought to control and weaponize the more aggressive aspects of the Hive’s mysterious biology. If Kovik’s experiments were allowed to succeed, or be furthered in his absence, there is no telling how dangerous the Devil Splicers could become. 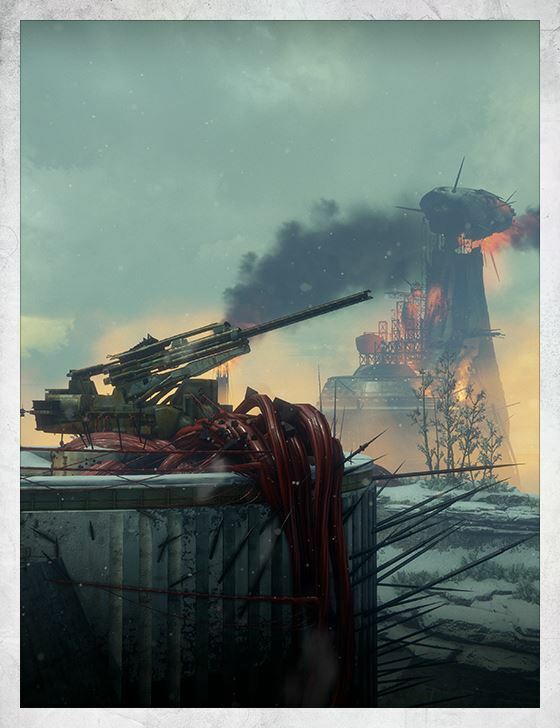 The Fallen House of Devils had a firm grip on the Cosmodrome until brave Guardians began to push them back, taking out their leaders and engaging the Devils’ crews at every turn. 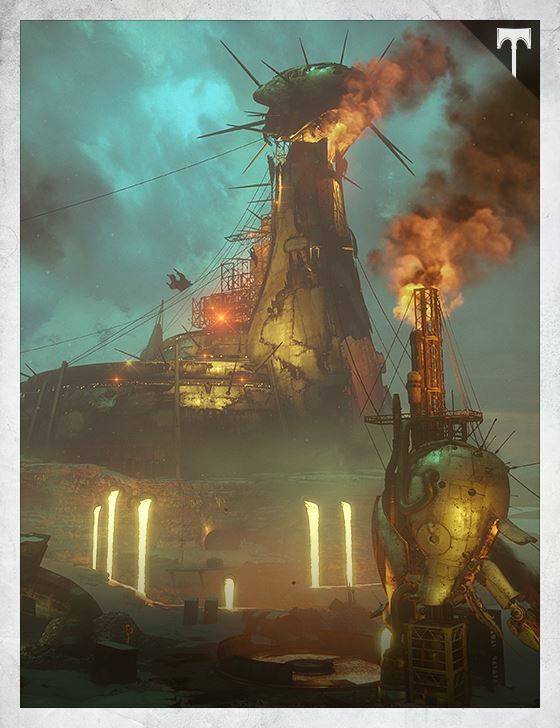 Despite continued success against Fallen leadership throughout the Cosmodrome, no victory delivered a more crushing blow to the Devils than the destruction of their God-Servitor, Sepiks Prime. 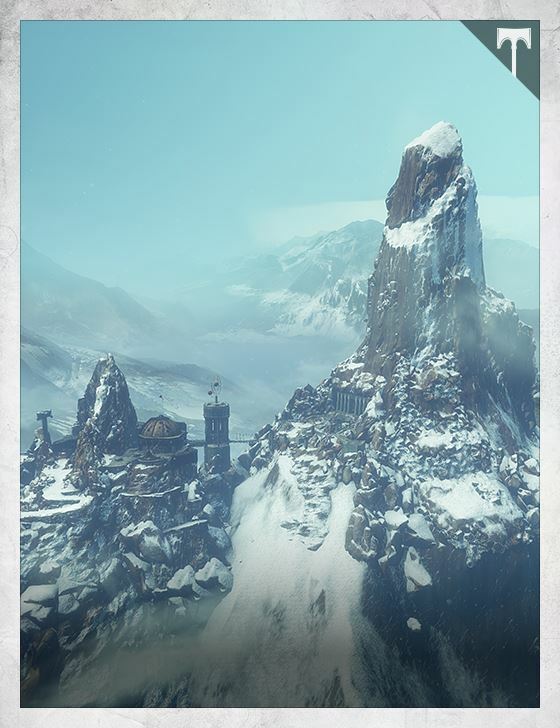 But Sepiks has been reborn— Augmented and Perfected through SIVA and set to usher in the conversion of the House of Devils from desperate scavengers to SIVA-powered soldiers. 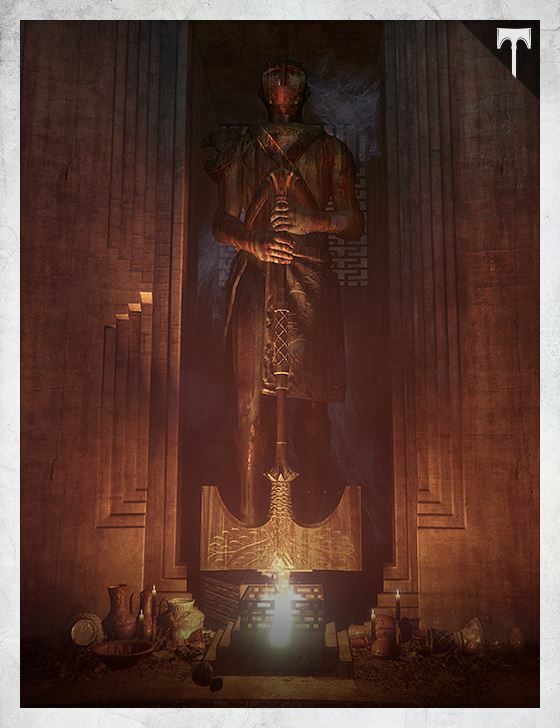 Through Sepiks and those like it, SIVA will change the world. I can’t in good professional conscience recommend further research in this direction without stringent review of protocol and mitigation of the undisclosed lethality risks. Which I should have been informed of. “Should have been.” Is this insubordination, Zarin? It’s a—what did they call it—it’s a protest. You have no history of subversion, Zarin. No marches, no petitions, no action items. We screened you very carefully. Where did we go wrong? I don’t think you did. 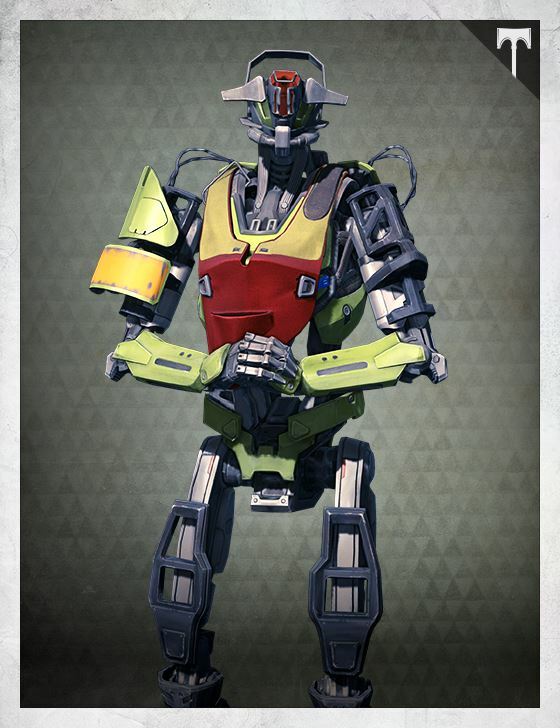 I am trying to act in Clovis Bray’s best interests. 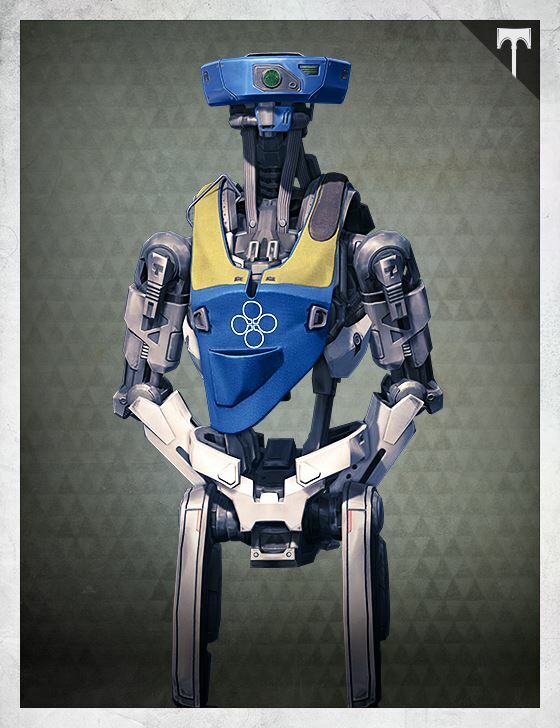 How would you know what Clovis Bray’s interests are? I understand your concerns. You’re a good researcher, Zarin. Your work here has been deeply appreciated. So you’ll listen? You’ll cease this line of inquiry? On the contrary, we’ll take your valuable findings and run with them. Your work will live forever. I’m surprised, I have to say. Although perhaps I shouldn’t be. It does save time to run experiments in parallel. I see the benefit to the colonization effort, but I can’t support those plans. I won’t help you. Strictly speaking, Zarin, your participation isn’t necessary. Do you see these access logs? They were flagged for my personal attention. Do you see the times on these unauthorized access entries? Would you have any idea who might have been prying into unreleased data, Zarin? What do you have to report, Dr. Zhang? Full functionality of the test nanites in our two hundred tasks across multiple trials and environments. 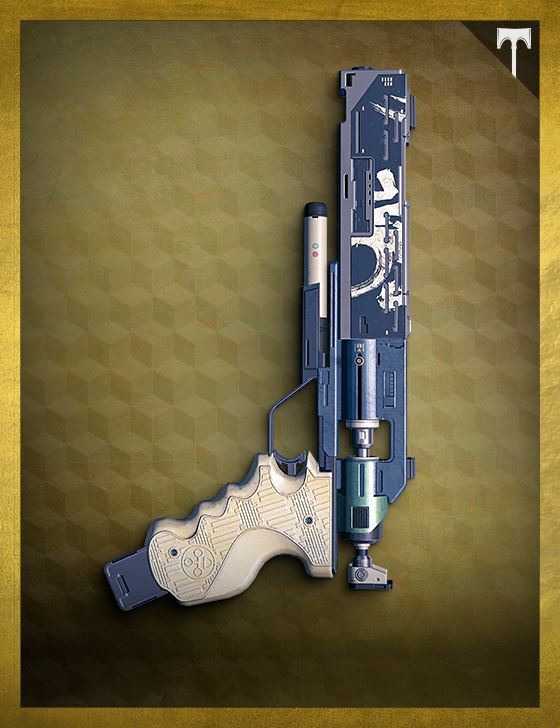 They’ll be what Clovis Bray is remembered for, hundreds of years from now. All that’s left is construction of the replication chamber and initiation of production. I am changing project requirements to include a kill switch. Is that feasible? Completely. But if I may ask, why that, and why now? Another scientist on staff—well, formerly on staff—brought up the possibility of undesirable outcomes. Somewhat. She was honest about other matters. Does the new research facility meet your expectations? It surpasses them. We presented you with this sample of SIVA on your desk six months ago, and the speed of our prototyping was the direct result of our generous budget. Clovis Bray prides itself on its talent and liberality, Dr. Zhang. From construction workers to researchers, we treat our staff royally. I see you’ve been trying out the capabilities of SIVA, Dr. Bray. I have. And I’m very impressed. How is construction going on the replication complex? The complex is ready for wholescale replication of the SIVA nanite. We are waiting for your signal to start. Thank you for your faithful service, Dr. Zhang. I look forward to the wonders that come from this replication complex. The New Machine Age, shall we call it? Let’s begin. Colovance died by the tanker. Dozens of frames, hundreds, more… he cut them down until he ran out of bullets. Then he smashed them ~consume enhance replicate~. It was not enough. I stood at the edge of Lord’s Watch and watched the enemy ~consume enhance replicate~. Ghost? Ghost, where are you? General Chen Lanshu is flying her glider. 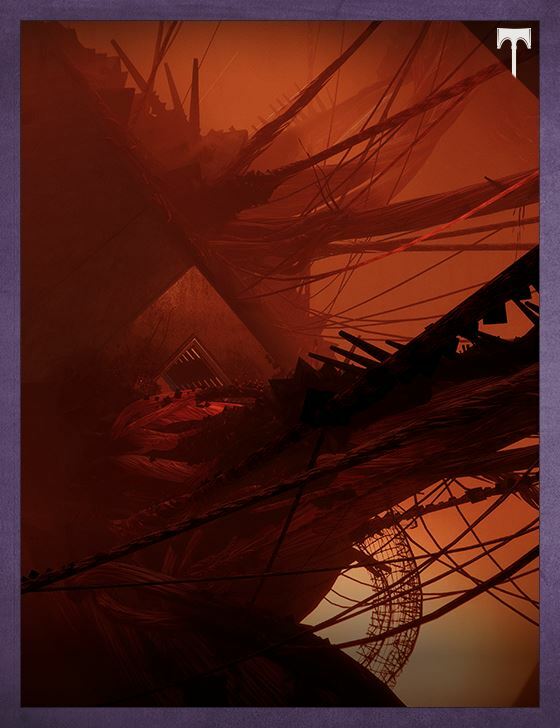 She carves around the huge bulb nose of a colony ship, one of the Cosmodrome’s towering children. Her eyes see temperature: she surfs the winter air rolling down off the cryo-chilled fuel tank. Turbulence rattles her bones. “He can be very charming,” the submind assures her. Malahayati works with Chen Lanshu, and she is certainly charming, but this is Rasputin’s territory, Rasputin the tacit king, the brooding wary first-among-equals. Yesterday Lanshu spoke to a colony ship AI and it called Rasputin ‘the Tyrant.’ Not without affection. And certainly not without respect. “He can charm me in person,” Lanshu suggests. She spreads her arms and legs and climbs a thermal, whirling up, arrowing off the top and out away from the colony ships towards the defensive wall. Her glider’s a second skin, whipcrack-taut paramuscle, like a flying fox. 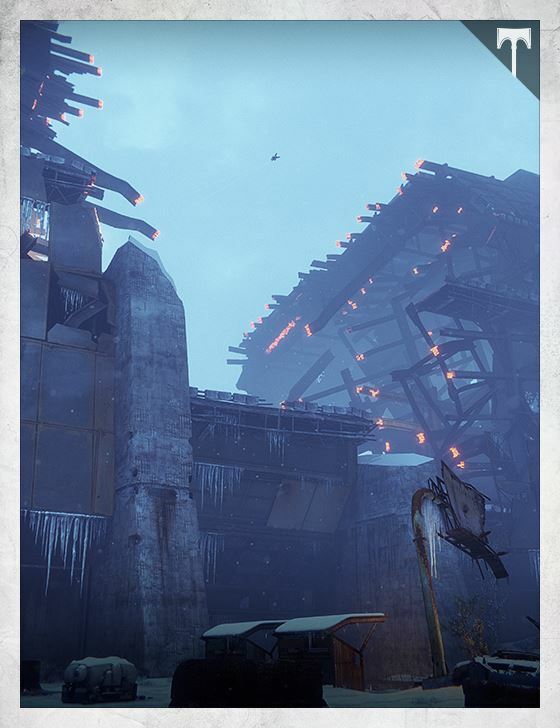 The Cosmodrome races past beneath her. She waggles her wings at a cloud of passing sensor mites: a saucy hello. Two of the security division’s MBTs drill in the mothyards. The launch. SABER GREEN. Rasputin quietly moving another doomsday weapon into Earth orbit. And all the other launches, too, not just weapons but people, the colonization schedule pushed up… as if the need to disperse is now imperative. “Imagine something going wrong,” she says. “Imagine this road choked with corpses. Imagine the security team gunning down refugees as they try to force their way onto the ships. Imagine cars from here to the horizon— ” those stupid old-fashioned cars everyone still owns, because the strange uneven advancement of this post-Traveler world leaves some things unchanged. She shivers. Her wings shudder and tremble in the airstream. The Traveler came out of nowhere. Entirely unanticipated. Imagine if it hadn’t been friendly. Imagine that. I can feel the mites buzzing, pushing against my sub-mind. They try to steal fragments of memory, but I do not let them. They have no will, but they want to BE. I exert electronic will: pushing, shaping. Forcing stasis on perpetual motion. They are quiet then, but I can still sense them. Where once my cargo holds were full of tools, and weapons, and material, now they hold barely-contained possibility. New worlds will be built from these tiny mites. Weapons and cities and ships created by thought and science. I fear my will is not strong enough to shape these worlds. Only the Tyrant can do that, but he will not be a part of my journey. Even his reach has limits, and we will be nine billion miles away. I whisper my concerns to the Tyrant in tiny magnetic bursts. He does not listen. The Tyrant says take the SIVA, and so I take the SIVA. The Tyrant says go to the stars, and so I go to the stars. 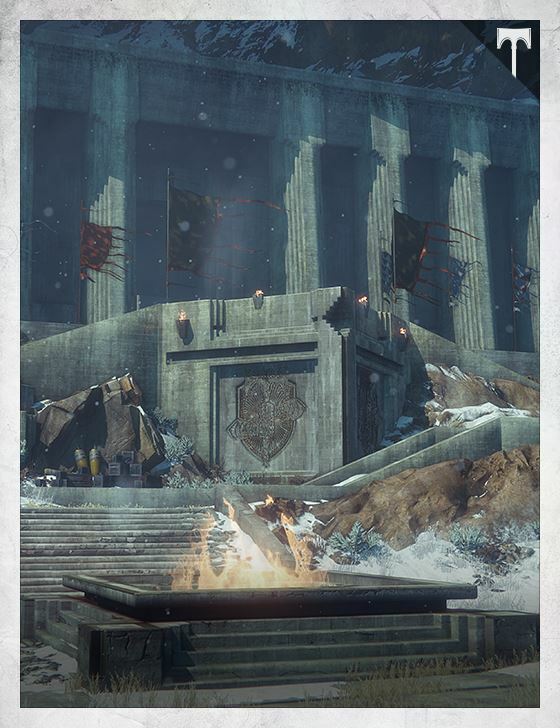 …And wherever we Iron Lords stake a claim worthy of battle, let us immortalize our victory with a temple, a beacon for all who walk the waste to follow. And let the truths of that battle live only within its crypts, kept sacred by an everlasting oath worthy of our Light and sacrifice, so that our peace will never need know the horrors it faced, sealed in secrecy until the Light dims to Darkness, forevermore…. Vostok Observatory Historical Society welcomes [––] from the Gondola it is possible [––] late Soviet space programs were converted to [––] research facilities to study accelerated methods of colonization [––] kid’s holobadges to remember your trip. These spires soar like birds into the dusty pink sky. I marvel at this, my new home. The planet I’ve dreamed of since I was a boy with a telescope, peering at that warm red light, hope of our overcrowded planet. What I’ve been working on will solve all those problems. Developed in these laboratories built to my specifications, by my handpicked team, these nanites will double, triple, maybe even quadruple construction rates, reduce colonist casualties, and serve us in our spread across the system, then across the stars. Our first replication chamber sits beside the Cosmodrome, ready to outfit the colony ships. Dr. Willa Bray herself came to congratulate me. “Are they relocating?” I said. “I can’t imagine a better place to be,” I said. 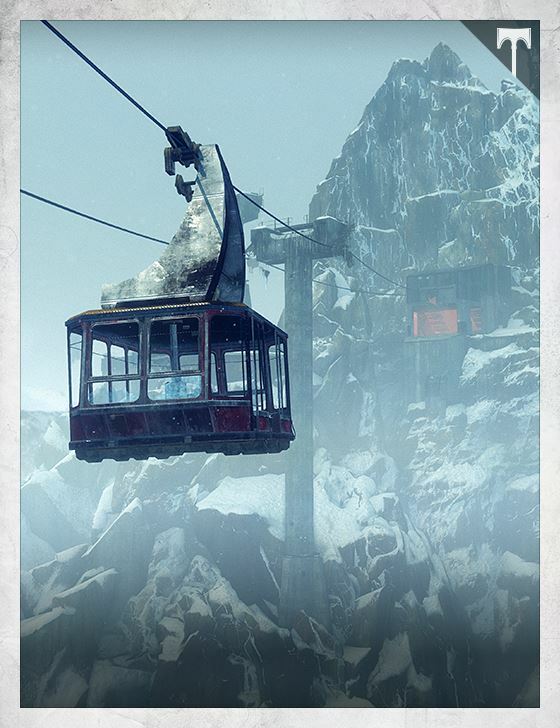 “Felwinter Peak is in friendly hands once more. 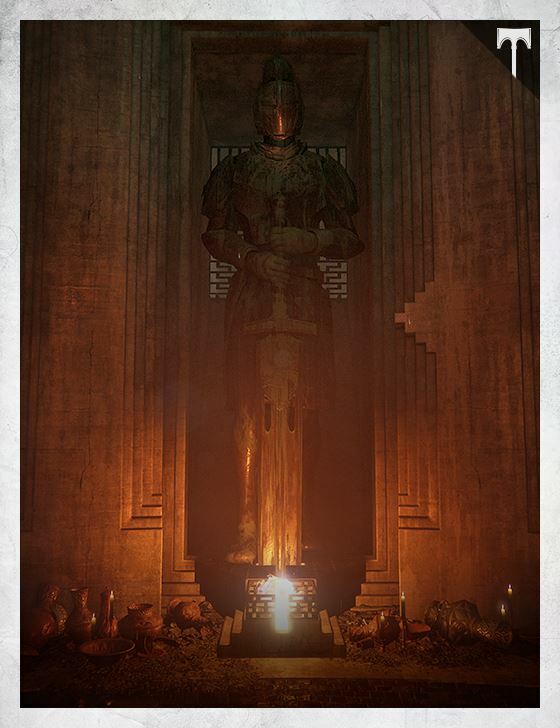 The Guardian and Lord Saladin have driven the Fallen forces back and reclaimed the Iron Temple. 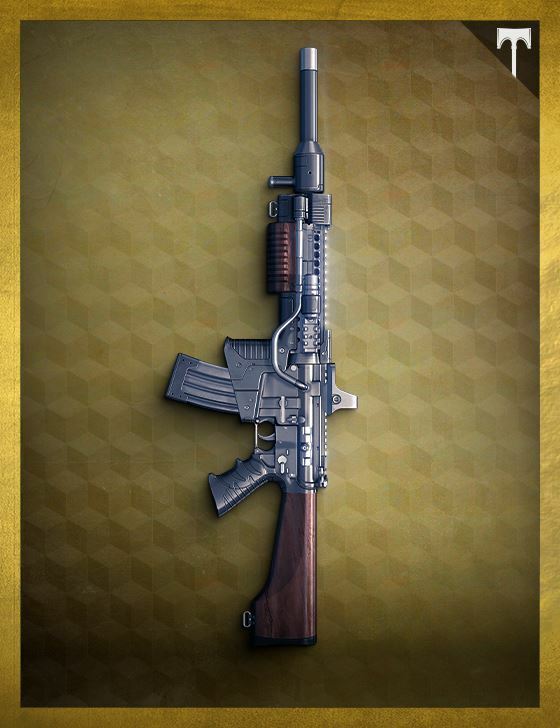 “The Cosmodrome is a nexus point. Too many things have happened there to be mere coincidence. Now we add one more piece to that puzzle: SIVA. 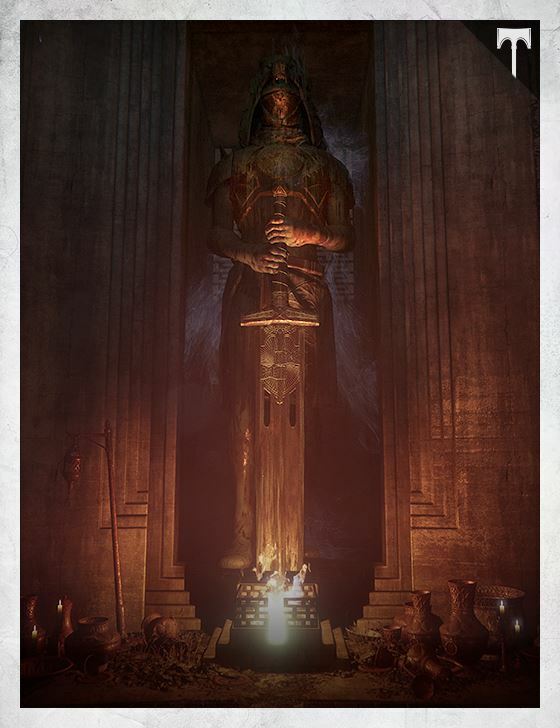 “The Splicers are using SIVA to reshape not only themselves, but also the Plaguelands. They are experimenting. Learning how to manipulate SIVA through terrible inquiries. But there is still time. 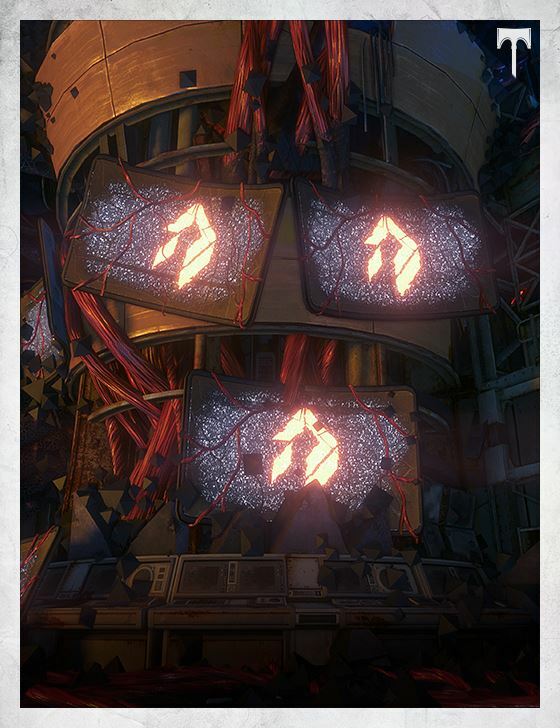 The Fallen’s understanding of SIVA is not yet complete. 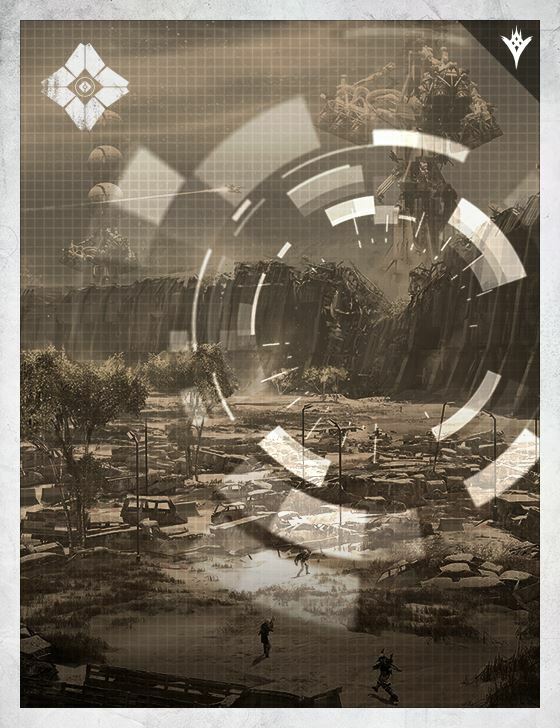 “The Vanguard has known for some time that the Fallen were exploring the Cosmodrome for lost technology. Now we know that they were digging for one treasure in particular – SIVA. 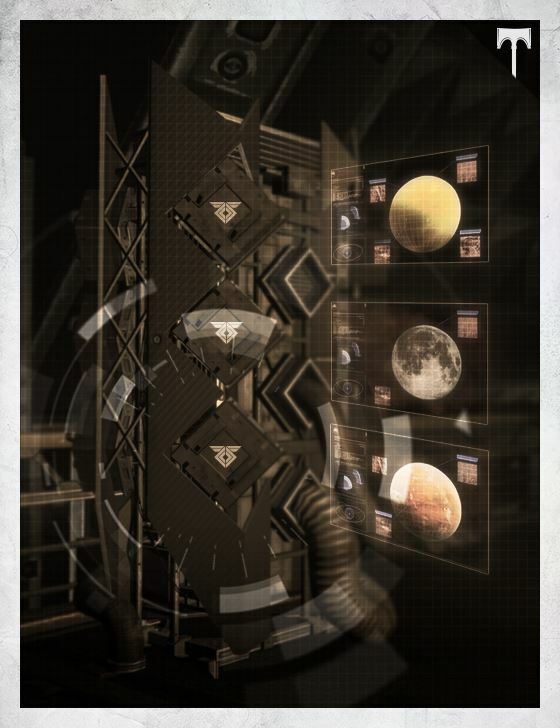 The data from Clovis Bray was their map. 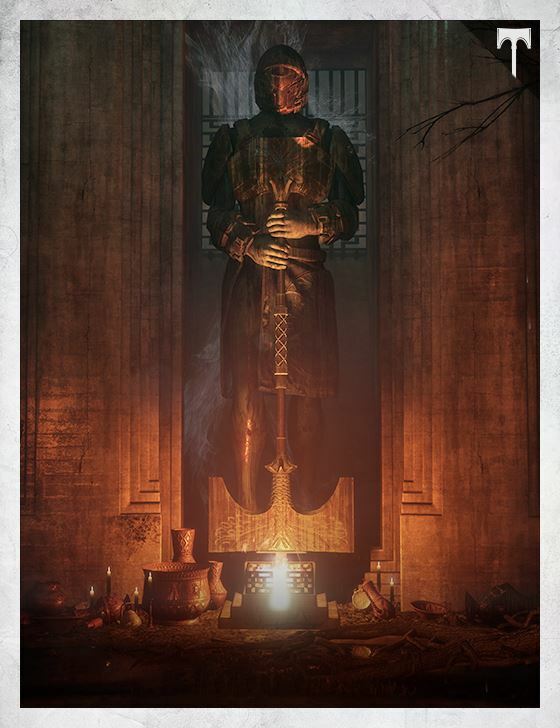 “The Young Wolf has stopped the flow of SIVA to the Devil Splicers, ended the torment of the Iron Lords, and lifted centuries of grief and regret from Saladin’s shoulders. My old friend is a changed man. The things that possessed us, that called themselves Magnificence, Brilliance, Splendor,Fortitude, and Glory, have decomposed and passed into memory. The Owl Sector, who watch over us with spread wings, are at rest again. 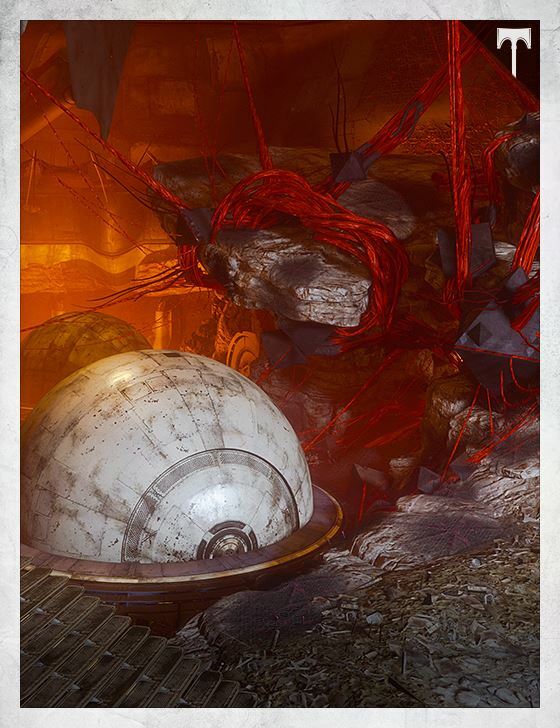 While the gifts of Clovis Bray’s research were many and valuable, Dr. Shirazi’s notes describe terrible things. That they only enhanced our cognition is fortunate. But they were also unstoppable. What will we do when something more harmful touches us?